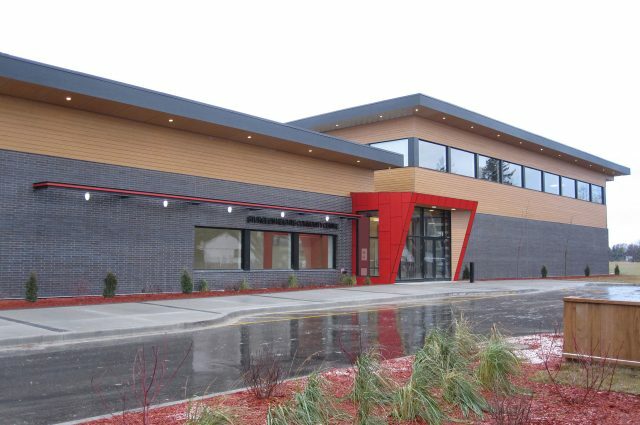 Three Way Builders project managed this addition/renovation for Steinbach Dodge Chrysler Ltd. located on Main Street in Steinbach, Manitoba. 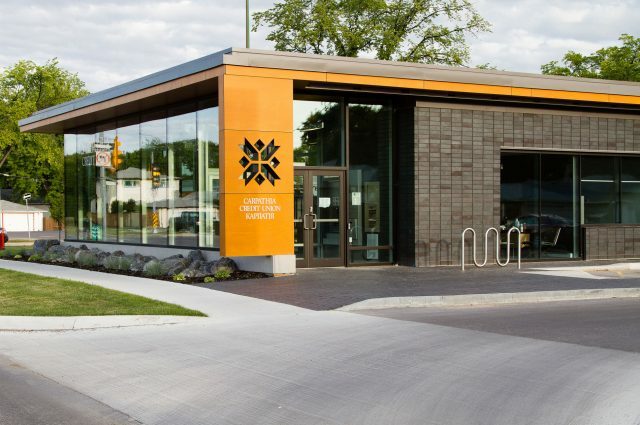 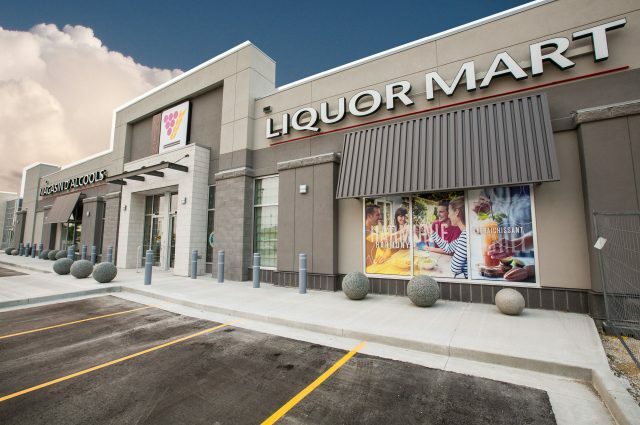 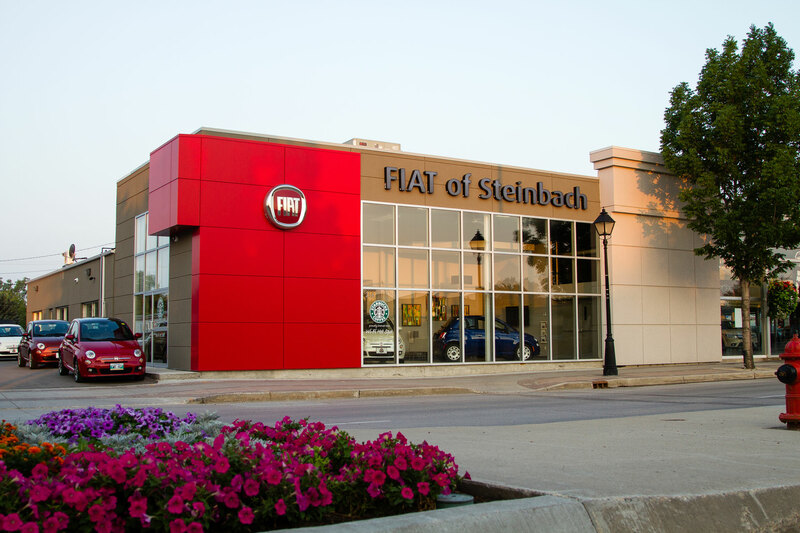 The Steinbach Dodge ownership was awarded a Fiat dealership, and also decided to upgrade their existing building facade to the new franchise look. 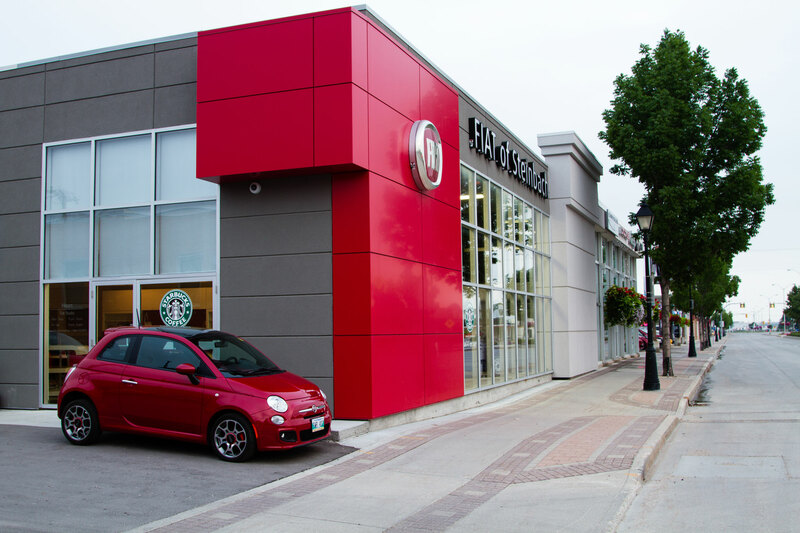 The Dodge dealership remained in operation during renovation and construction process. 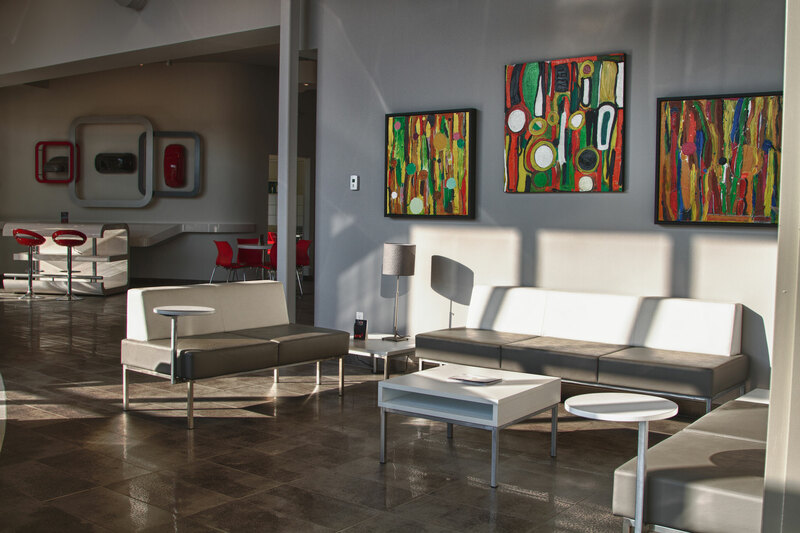 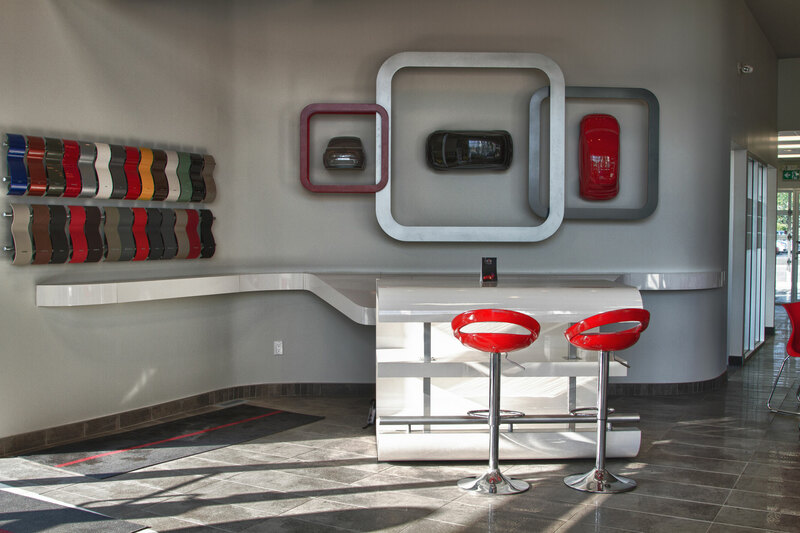 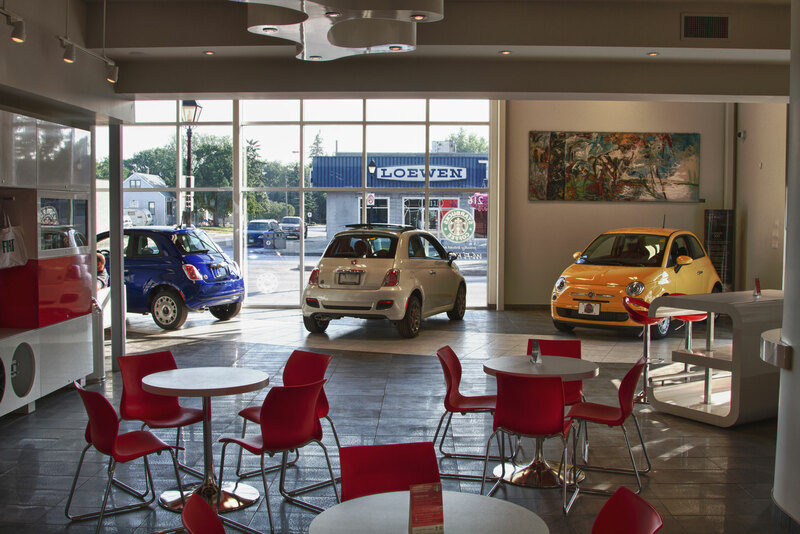 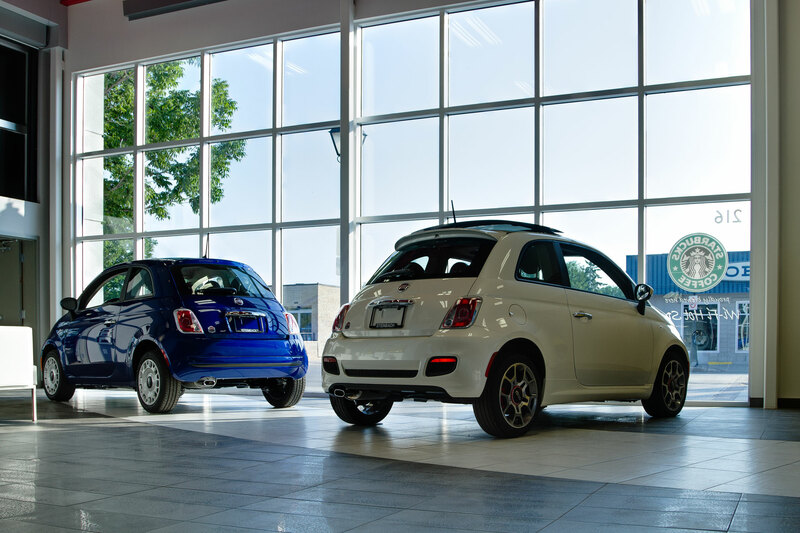 The attractive exterior design brings a well-greeted lure to this dealership, and similarly the Fiat addition transitions smoothly within the building’s new Euro interior design. 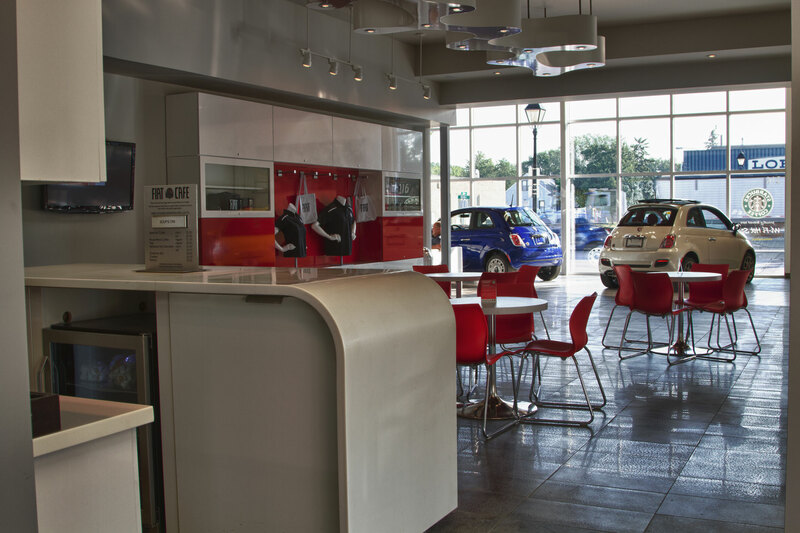 This is a must see showroom which also serves Starbucks coffee!